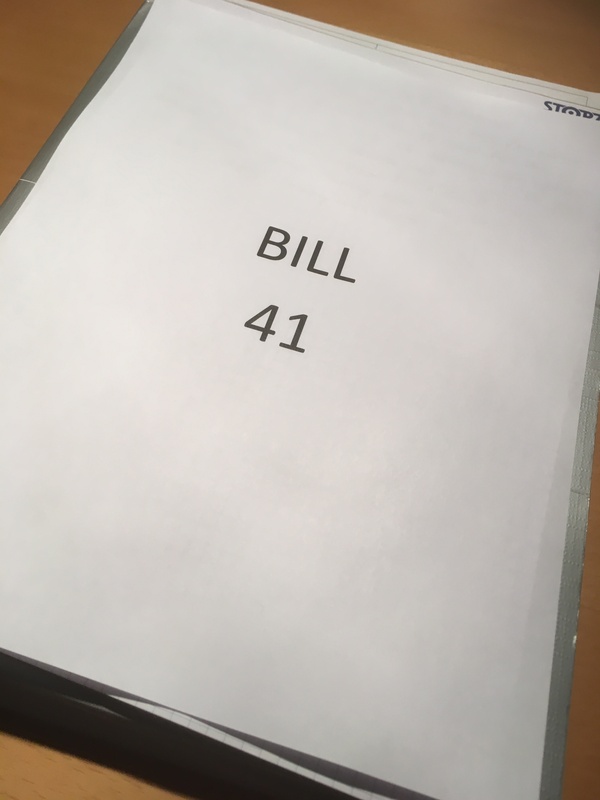 Bill 41 – What about Specialists? Here is my last question about Bill 41 before it goes to Committee: Once Minister Hoskins finishes bringing family doctors “into line”, what has he got planned for specialists? One might get the impression from the government’s reasons for introducing Bill 41 that family doctors are sitting around their offices eating bonbons all day but, really, that just isn’t the case. Watch the activity in your family doctor’s office while you’re waiting for your appointment and you’ll realize that they are run off their feet. But access is also problematic in the offices of community specialists, and especially the specialists in medical and pediatric and mental health specialty care. Internal medicine specialists, pediatricians and psychiatrists are the system’s experts in chronic disease management. These specialists look after babies with failure to thrive, children with diabetes, youth with schizophrenia, adults with chronic obstructive lung disease and the elderly with every chronic condition imaginable. We are the consultants family physicians seek out when a patient’s chronic illness suddenly becomes acute. In my practice, I hear from family doctors when a young person with major depressive disorder begins to feel suicidal after months or years of being symptom-free on the correct medication and successful cognitive behavior therapy. Because I work in a hospital setting with a full team of clinical psychologists, social workers, psychiatric nurses, recreation therapists, occupational therapists and child and youth workers, my youth program has no waiting list. We can bring youth in quickly and settle what is happening, or work on it with a young person and their family, offering a limited choice of treatments. A psychiatrist in a community setting, however, is in a very different situation. Because they have no team and limited access to community resources, that specialist is often monitoring highly complex patients performing to the best of their ability all the functions of a team working with the family doctor. This is an essential service in medicine since these are often the only people available to provide therapy to those who could otherwise not afford it. Every community medical specialist performs similar services in their own specialty areas and benefits many patients. These doctors are valued by patients especially because the practice setting is “private” and can sometimes afford a level of individualized care that might not be available in a hospital setting. The reasons a specialist works in the community and not in a hospital setting are varied. I worked in private practice when it was impossible for me to be on call. My three children were born within two and a half years and, for the years I was a single parent, it would have been impossible, of course, to leave them to assess a patient in the emergency room. For all the years that I was in private practice in Ottawa, my patients had my home number in case there was a problem. This is true of many of the community specialists that I know, and many of them do provide call in community hospitals. In small communities, they are often the only expert in their specialty that the Emergency Room physicians can access. These doctors are vital to the health care system that patients depend on. For the last four years, the Government seems not to have considered community medical specialists at all – which means that the patients these specialists care have also been overlooked by the government. Many medical specialists have seen the resources some primary care practices have been able to access and wondered whether the government might ever consider resources for their patients. Dialogue between doctors and the government does not exist, however, except on the government’s terms. We have watched as the Government of Ontario cut off resources and even began to limit entry into certain family practice groups. Despite the increased access family doctors have provided to Ontario patients, it has not been enough to satisfy the government and so they have begun to unilaterally impose the organization they want through cuts to fees and now legislation via Bill 41. Bill 41 focuses everyone’s attention on primary care, and doctors and patients depend on family physicians to be the stewards of patients’ overall care. When the government begins to realize that patients also need more specialist care for their chronic diseases, it seems likely that they will also try to shape how community specialists practice. When that happens, can the individualized, patient-centred care that these doctors provide survive? Bill 41 tells us both patients and physicians come after administrative concerns. The system of community consultants isn’t perfect, but patients value it. Specialists have ideas about how to improve community care, but is anyone listening? I have been like a broken record on this issue. Bill 41 goes far beyond primary care physicians and will definitely have an impact on specialists. We need to be proactive in analyzing this aspect and ensuring people know. ← Bill 41: Infrastructure Investment? ?